Challenge Charter Middle School is MUSIC! CCMS Students have opportunities to perform in regular shows and assemblies. All Challenge Charter Middle School scholars engage in the study and practices of music. This includes regularly scheduled classes on instrumental and vocal music. CCMS scholars in the 7th & 8th grade will have meaningful engagements in music (composing and improvising based on culturally relevant interests) and will build on these positive connections to develop the skills and knowledge of accomplished musicianship, moving into other forms, such as classical music. Music Banks helps prepare scholars to perform at events such as annual graduation ceremonies. Through our Performing Arts program, scholars also have the opportunity to increase musical knowledge and study popular music. 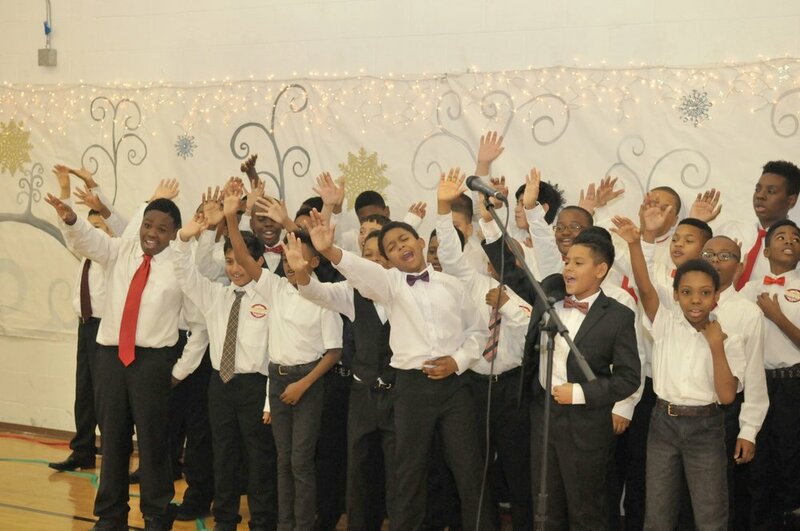 Excellence in musical performance has been a regular part of Challenge Charter Schools since it's inception, and our scholars perform in a variety of programs throughout the year from school assemblies to community celebrations such as Black History Month.